OGP UK will exhibit on stand K9 at the Advanced Engineering event this November (2nd & 3rd) showcasing the SmartScope CNC 200 multi-sensor measurement system, which will feature the (through-the-lens) TTL Laser and Touch Probe. These sensors will be used to demonstrate the CNC’s metrological capabilities and speed using a selection of both metal and plastic components through laser scanning and optical measurement. OGP UK will also be holding the first demonstration of their new ZONE3 software. ZONE3 metrology software is used in conjunction with SmartScope systems, allowing users to acquire faster measurements, future-proof capabilities and ease-of-use, putting the power of OGP’s 30 years of experience to the ultimate use in their most effective software yet. The ZONE3 software incorporates full 3D CAD programming, interactive reporting with live data and graphs, multi-sensor auto-path creation and live kinematic model simulation of machine with DRF and GD&T Animation. The software features also integrate the ability to operate SmartScope multisensory systems making it entirely sensor dependent, alongside its design to work with any combination of sensors and a faster routine thus fully maximising the use of its automatic repeatability generation. As the undisputed pioneer of CMM technology, OGP were the first to develop a co-ordinate measuring machine (CMM) using video technology in measuring components repetitively, accurately and efficiently. OGP have continued to deliver the most sophisticated, reliable, precise and fast metrology platforms available in the manufacturing industry. Don’t be afraid to challenge us, bring along one of your parts to the event and we will demonstrate how easy it is to measure the parts on an OGP machine. 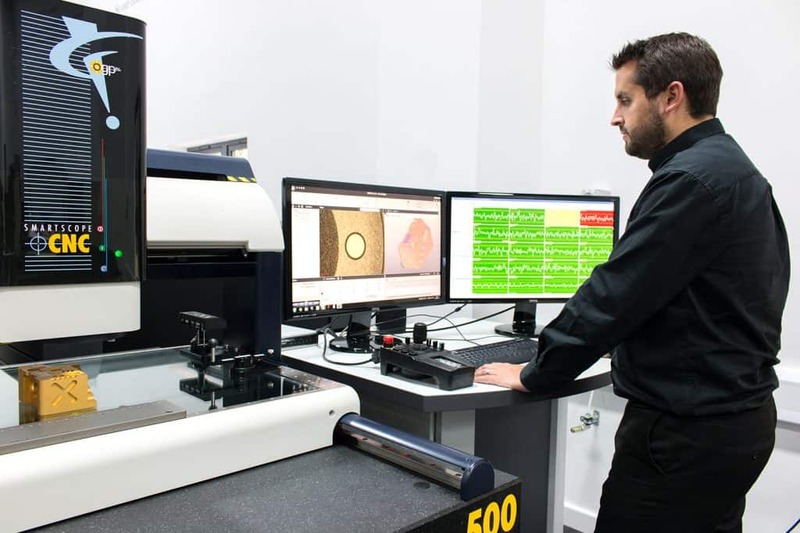 Don’t miss out on the chance to witness our multi-sensor metrology capabilities, you’ll quickly learn how our machines can improve your productivity.